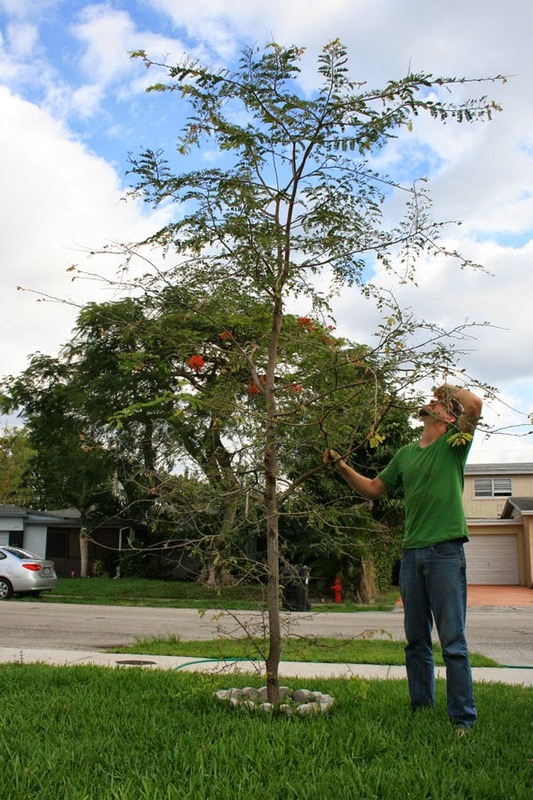 Florida Survival Gardening: The Great South Florida Food Forest Project Update, May 2015: Successes! 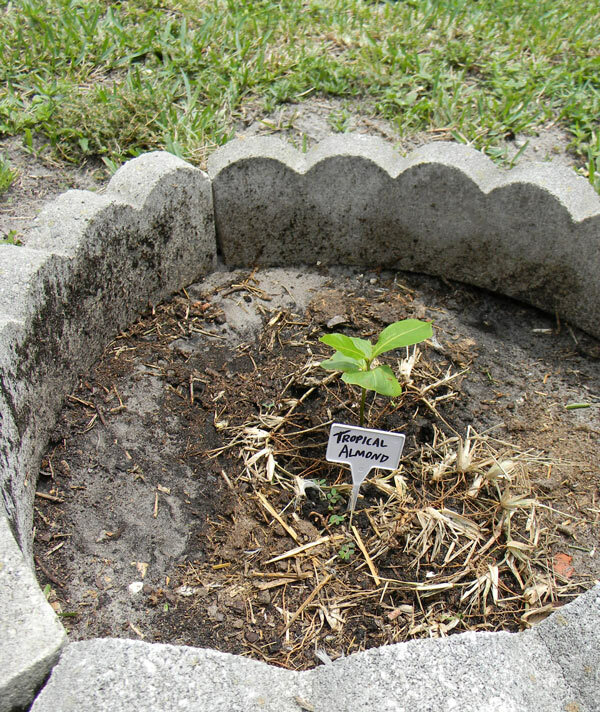 Due to circumstances beyond my control, I haven't been able to visit the Great South Florida Food Forest Project for over a year. My last pictures were taken way back in February of 2014 and posted here. I was finally able to visit last week and see how the ecosystem is evolving. Rachel took a bunch of pictures which I'll be sharing with you over the next few days. There have been some exciting developments and some disappointing failures. 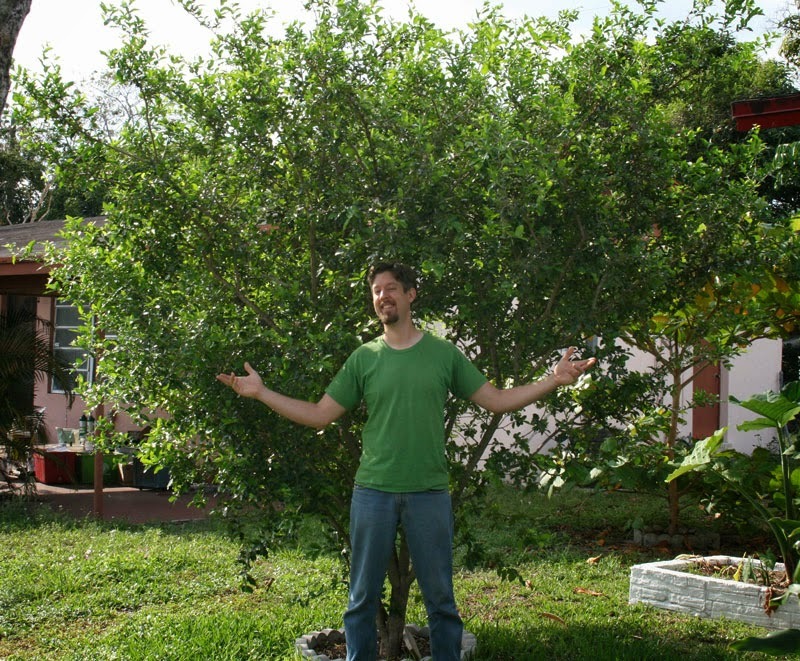 One notable success is the acerola cherry tree my dad and I planted back in March of 2013. 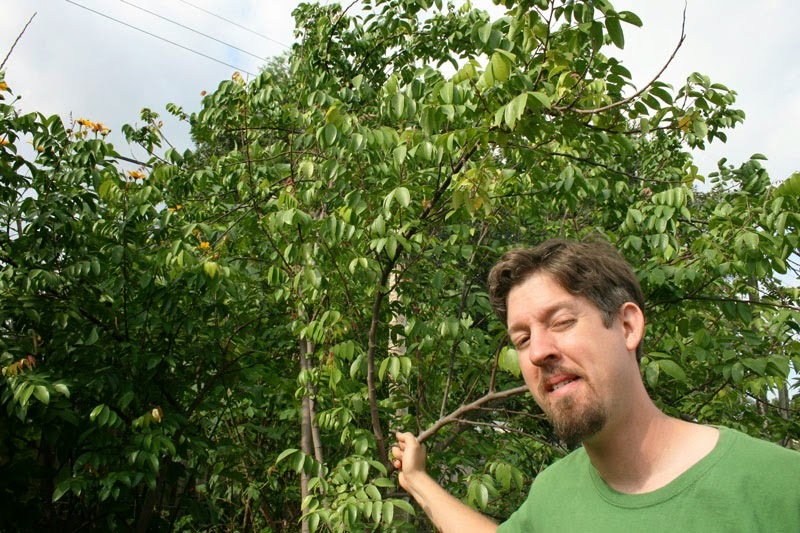 Unlike a true cherry, the acerola cherry produces prodigious quantities of delicious sweet/tart fruit year-round. 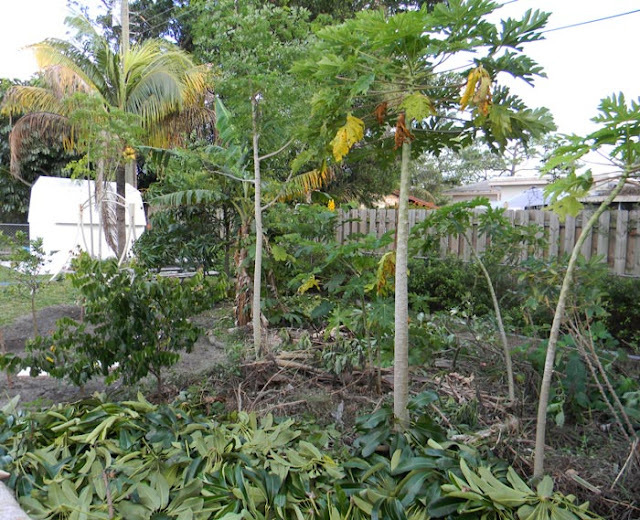 Another great success is the tropical almond tree. Less than 2 years - from seed! Pretty amazing. 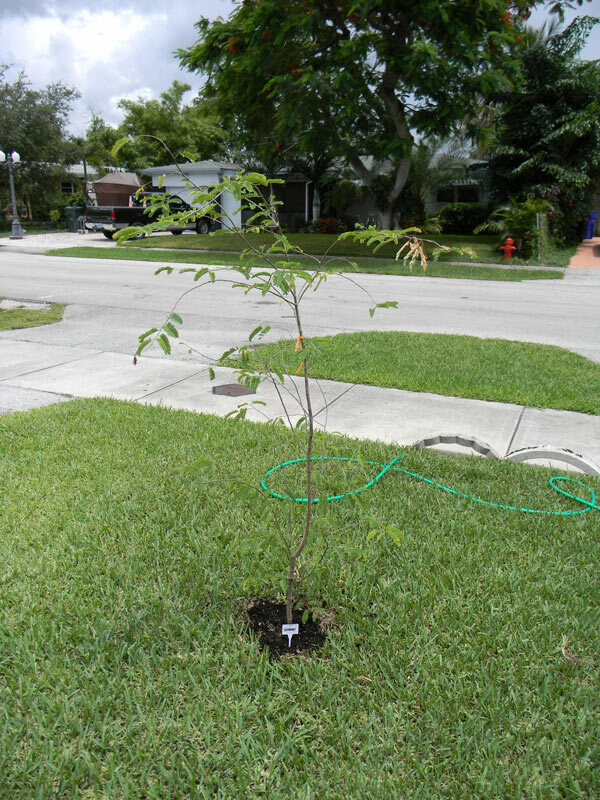 Another success story is the tamarind tree we planted near the driveway. Another success is the chocolate pudding fruit tree. Though it's not gotten a lot bigger, it's filled out... and it's blooming! 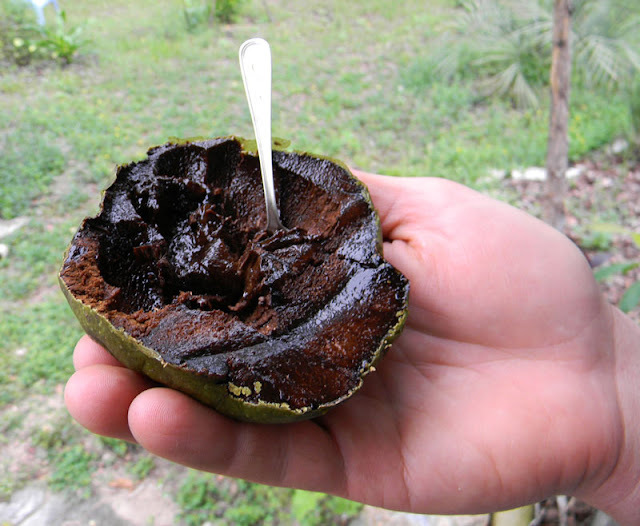 Chocolate pudding fruit, also known as black sapote, are incredibly delicious members of the persimmon family. Amazing. Hopefully we'll have some soon. 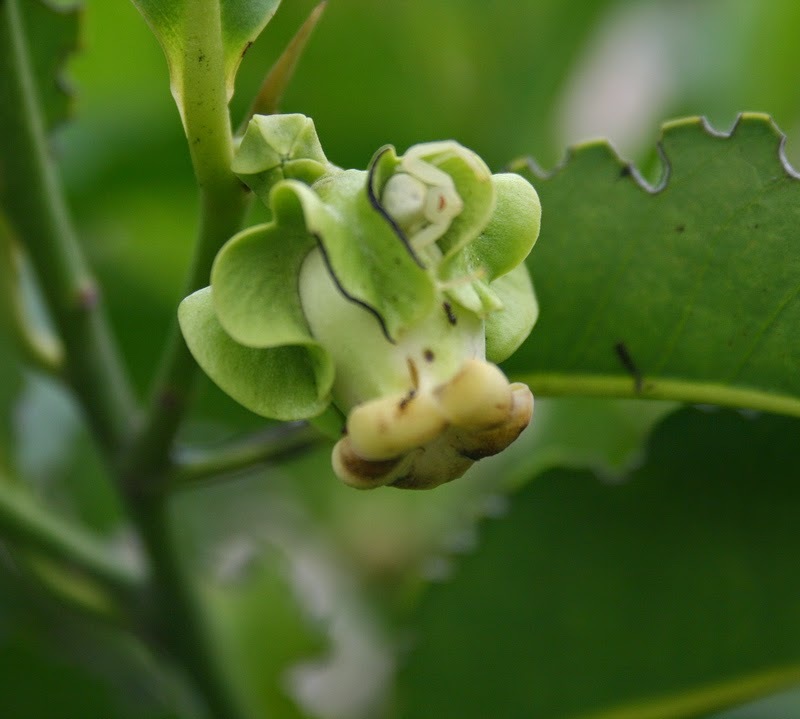 A final great success is the starfruit tree. It's the tree on the bottom left - just about 4' tall back then. 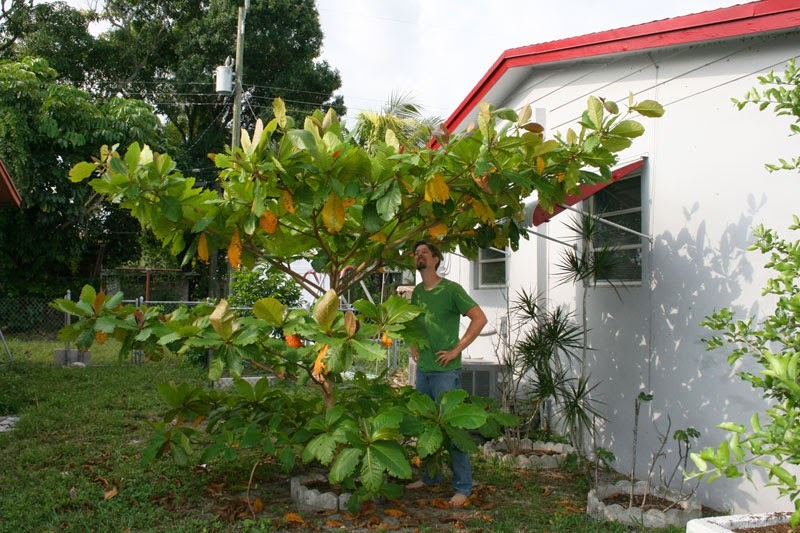 It's about 12' tall and has been bearing BUCKETLOADS of fruit twice a year. 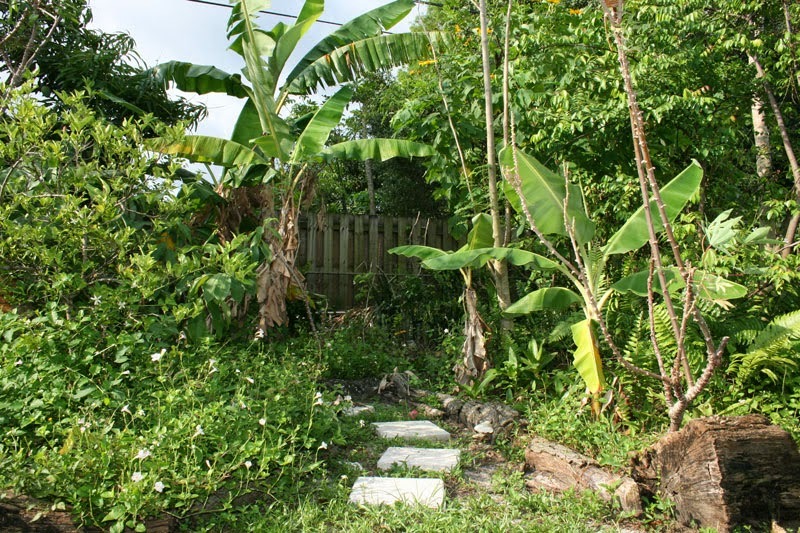 Tomorrow I'll take a look at some of the failures in the food forest project - stay tuned! wow!! amazing trees! 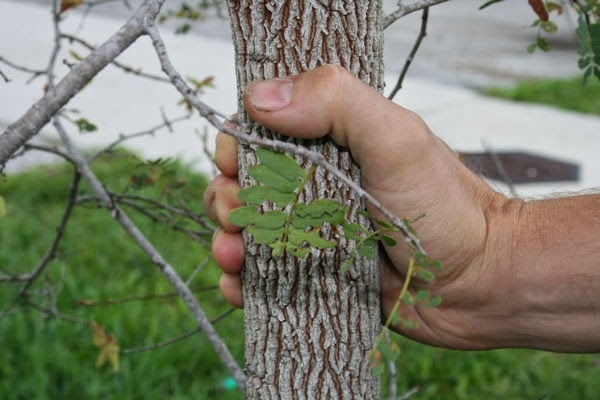 yummy trees! i wanted to let you know, i just did a blog post today and i mentioned your website/blog...left a link. if you would rather i didn't...i will UNlink. sorry, guess i should have asked BEFORE i published it. I don't mind a bit. 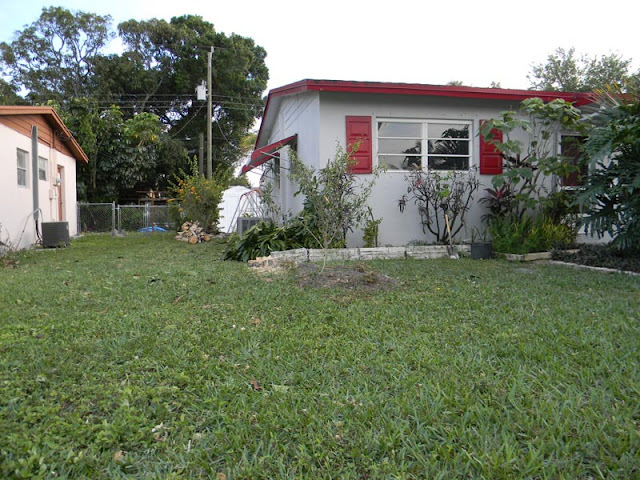 Welcome to Florida Survival Gardening. I'll add a link to your site on my sidebar.